Foundation settlement is typically either caused by a weakness in the soil under what would be considered normal loading or an overloading of a soil that would be considered adequate in general. Most cases of residential settlement involve the first case, a weakness in the soil. The actual mechanics and possible reasons for excessive settlement of soil are very complex, so we will stick to the practical aspects that will assist homeowners. Most important, nobody can tell you from one visit if settlement is over or at what rate it will continue at. There are ways to estimate settlement, but they would involve testing and engineering that are usually not cost effective for a single residence. If the settlement has not negatively affected the structure to a point that it needs repair, the most cost effective step is to monitor it. Generally, measurements will be taken and possibly monitors installed. The engineer will return at regular intervals to monitor for settlement and determine the rate of settlement. At some point a determination will need to be made if reinforcing work needs to be done or if the settlement has ceased and is not likely to cause structural damage in the future. If the settlement has already created a structural hazard, it will need to be addressed. The first step in a settlement repair plan is to transfer the foundation loads to better soil or to reinforce the soil. The most common method of doing this is to install auger piles. These are basically large screws that are screwed into the ground to transfer the foundation loads to deeper soil, which is capable of supporting the loads. They have brackets on the top of them which will support the underside of the foundation. There are other methods that can be used, but in general, they are not well suited or cost effective for a typical single family residence. 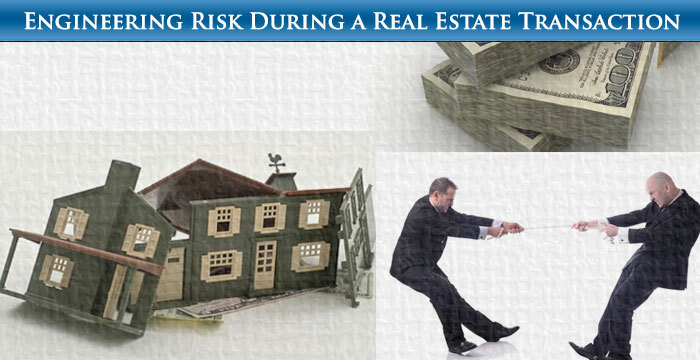 Overall, the cost of remediating settlement is usually large. 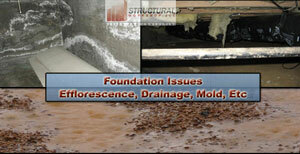 After the foundation is stabilized, the structural damage must be repaired. What this entails varies tremendously based on what damage has occurred. 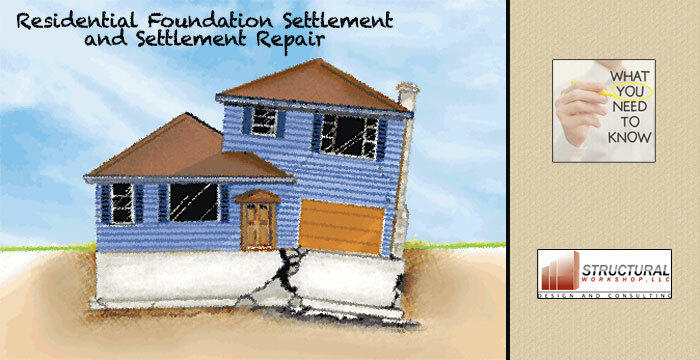 Settlement is typically only damaging when it is differential, meaning portions of the foundation settle at different rates or different amounts. Theoretically, a house could settle several feet all at once and not sustain any damage, although your doors would probably be underground. Practically, if the amount of settlement is reasonable, uniform, and is not progressing, the only concerns are cosmetic. 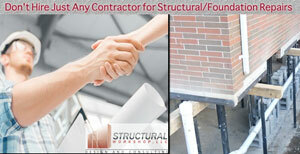 When portions of a structure settle differentially, many problems emerge. Some of these could be vertical cracks in the foundation, uneven floors, drywall cracks, chimneys pulling away from the house, and tight doors and windows. Some of these problems can be tricky to fix and sometimes it will not be practical to get things back to a level and plumb condition. Settlement is not always the big problem it may look like to a homeowner. It should always be evaluated by an engineer. There are not many gray areas with settlement. It is usually a case of either monitoring it or repairing it and the costs of repairing it are generally large.